The genre of crime is an extremely broad one, with writing styles and plots differing in diverse ways. The nationality of the author influences the topics and settings within a story. Australian crime fiction illustrates this point, with blunt characters, gritty dialogue and dramatic scenery. With this in mind, who is your favourite Australian crime author, and why? I think probably Shane Maloney. I like his Murray Wheelan series for their humour. Kerry Greenwood's Phryne Fisher mysteries are also fun. I like the way you get a feel for what it might have been like living in Australia in the 20s. There aren't many books set here during that time. Having recently seen a Peter Temple novel on TV, starring Guy Pearce as Jack Irish, I thought I would investigate (pardon the pun!) 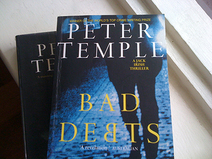 Peter Temple's crime novels. Bad Debts is an excellent book - it's like a steam train - the book gathers momentum and keeps on rolling. Really enjoyed it, I've now moved onto another one of his books. It's great being able to picture the Melbourne laneways and city streets his books are set in. Gritty and grotty!! Can't say I've read much Australian crime - though I believe The BearPit, which I'm about to start is crime. I read my first Maloney this year. I'd never heard of him, yet he's a text classic! Has anyone heard of or read an Arthur Upfield crime novel? Apparently it was also a series on TV. Set in outback Australia, the main character, Detective Inspector Napoleon Bonaparte (Bony) used Aboriginal tracking techniques to catch criminals. There are 29 novels - must try an track one down! Yes, & the TV series' starred NZ actor, James Laurenson, with 'black' makeup on, as 'Bony' WAS an aboriginal! Very enjoyable to view, & was filmed, if I can remember, in outback NSW. The 'Phryne Fisher' character in her books, was easy to 'imagine' & the 'plots' moved at a fast pace! So pleased they've been filmed. And what an excellent TV series' in EVERY way! Love it! My all-time favourite Australian crime author is Peter Corris. He has written 42 books in the Cliff Hardy series from 1980s to the present and, after much searching, I can honestly say I have read every one of them. In some respects, Cliff Hardy's life parallels that of Peter Corris (living in Newtown NSW, heart attack, grandchild) and they both have staying power. An Australian crime author gaining international recognition is Michael Robotham whose plotting is brilliant! 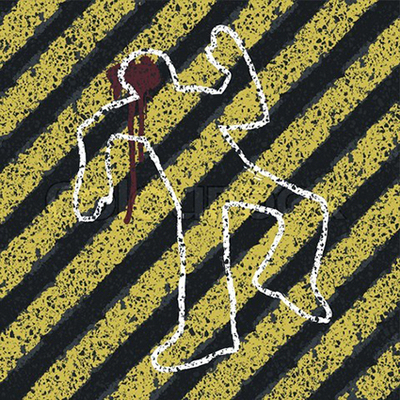 And a new boy on the crime scene (actually Irish but lives in St Kilda, Melbourne) is Adrian McKinty and his Troubles detective series featuring the addictive Sean Duffy. Try them!